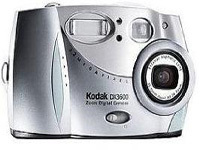 Kodak EasyShare DX3600 Zoom Digital Camera Software Driver and Firmware for Operating Systems. This firmware version provides: improved battery life: correction for CompactFlash (CF) memory card compatibility problems; digital display of the digital/optical zoom magnification factors. , and filed under Digital Camera and tagged dx3600, easyshare dx3600, kodak dx3600 download, kodak dx3600 driver, kodak dx3600 firmware, kodak dx3600 software.